Somethin' Else has created content for The British Fashion Council's biannual menswear showcase, London Collections: Men (LC:M). The creative production agency will work with the British Fashion Council for LC:M events throughout 2014. 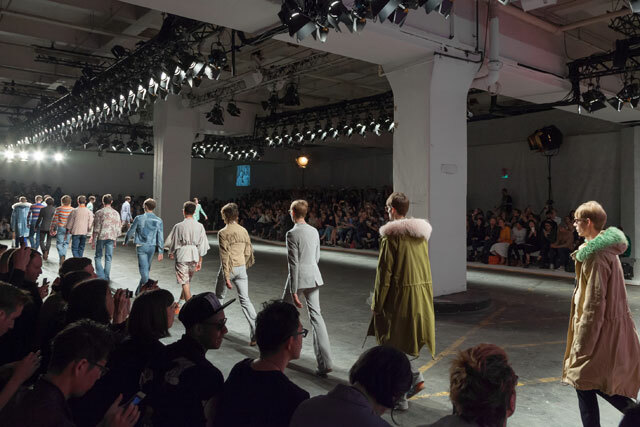 LC:M showcases the best of British design, from Savile Row to high-profile fashion brands, including Alexander McQueen, Burberry and Tom Ford, and allows them to present their collections to an international audience. Mark Rivers, the head of content for brands at Somethin’ Else, said: "We’re really proud to be working with the British Fashion Council, and can’t wait to help show off the best of British designers to the rest of the world." The agency will be responsible for creating content from catwalk shows and fashion presentations across London, including at Victoria House, among other venues. LC:M kicked off on Saturday and there are catwalk shows and exhibitions by designers at their shops all this week. Somethin’ Else is covering the shows and exhibitions through its own mobile newsroom and has already created video content, with a "very fast turnaround", for The British Fashion Council to use on its own channels and to distribute to appropriate media. Rivers joined Somethin’ Else alongside the executive creative director, Ben Kerr, earlier this year to build the work it does for brands.